What do people value most? Their prized possessions? What do people rely on to get their work done? Internet connection? What do people always feel they don’t have enough of? Sleep? What are we wishing more of? Love and joy? Of course it is! How could it not be? Mind you, the answers above could all apply, but the worthiest currency for everyone in the world is time. You get the point. 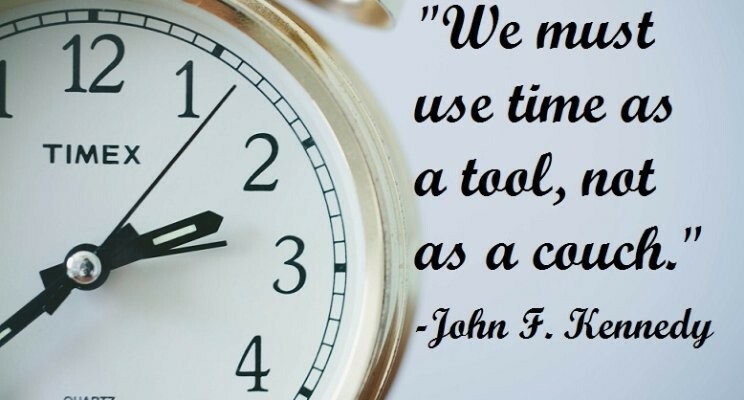 But the lesson in this is use your time wisely – with so much demand on time, its expensive to waste it. The most successful people do not waste a moment, they use as much time as they have giving every time allocated to their goals wisely and with 100% – bear in mind that this applies to downtime also. You need to take time to wind down or you’re running yourself into the ground. Managing time is something we all wish to do effectively, but once you know how much time, realistically, can be dedicated to a task, it becomes easier and you succeed better as you know your heart and soul is in each accomplishment and your time has been used wisely as you tick it off your to-do list (yes that list that you’ve been ignoring in the back of your Filofax).